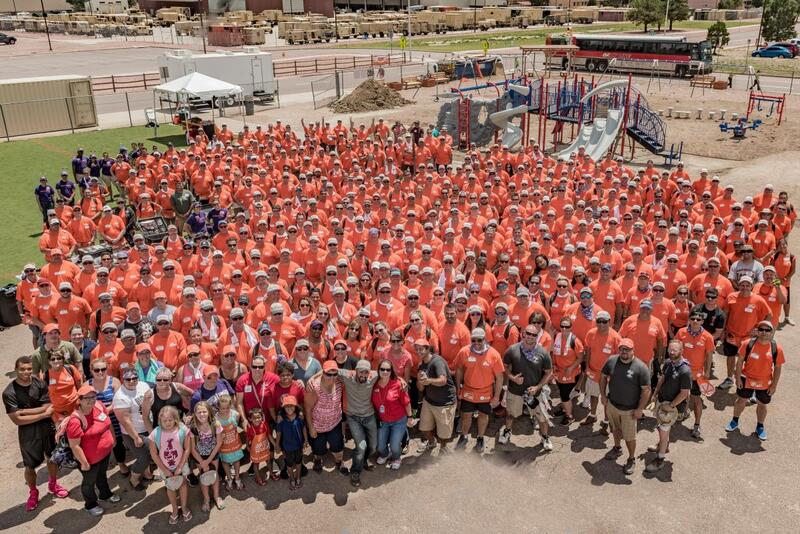 From September 20 to Veterans Day, Team Depot, The Home Depot’s associate-led volunteer force, will work with local and national nonprofits to complete projects for aging, combat-wounded and homeless veterans. To support these efforts, The Home Depot Foundation has given more than a quarter of a billion dollars to veteran-related causes since 2011. More than 40,000 veterans are homeless on any given night. More than one million veterans are considered at risk of homelessness due to poverty, lack of support networks and subpar living conditions. More than 3.8 million veterans have a service-connected disability. There has been a 60% increase in veterans with service-connected disabilities since 1990. More than 9.4 million veterans are over the age of 65. Many of these veterans need home modifications so they can age-in-place safely. During the campaign, Team Depot is inviting consumers to celebrate service on social media using the #ChooseToServe hashtag. They can also visit ServeVeterans.com for ways to activate in their community, both big and small, that leave a lasting impact. View and download campaign B-Roll here.